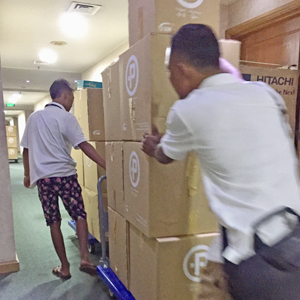 We’ve helped hundreds of clients successfully move their offices and homes within Myanmar, but don’t take our word for it, see what they have to say. 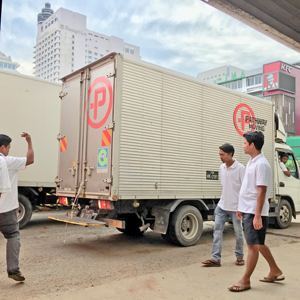 We have had the good fortune of using Pathway Moving Services for our recent pack and move of office and kitchen equipment in Yangon. 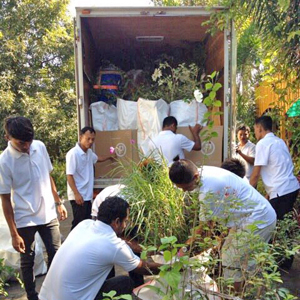 The move involved delivery of goods to two locations, each with their own logistical challenges. I recommend you contact them for your next pack, move or storage consultation/quotation. Thank you for moving. I believe there was no damage with the stuff. It was smoother than expectation. We were very comfortable with the moving especially with the safe. Now, we are happy with the new place with peace of mind. They are a very good moving service, locally based. Both our company and other people I know have used them and found that they offer a great service. If you are looking for a good supporting partner for your move I would definitely recommend them. We appreciate you and your company. 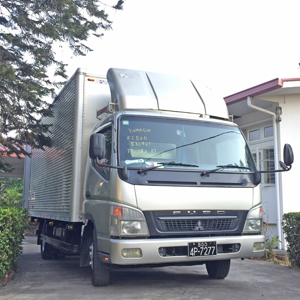 Moving was a great experience for us. The crew found the house easily and unloaded quickly. 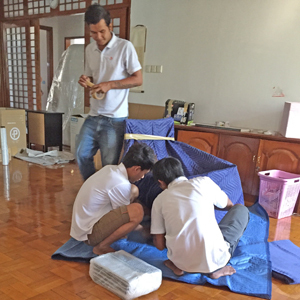 They also helped us reassemble a few furniture items, which I appreciated. 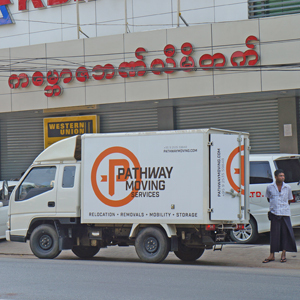 If anyone is looking for a moving company within Yangon, I highly recommend Pathway Moving. 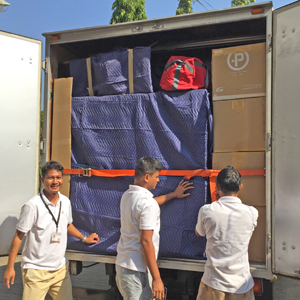 The team were professional, took care of furniture with padded blankets including antiques, shrink wrapped mattresses and ensured a smooth and easy move. 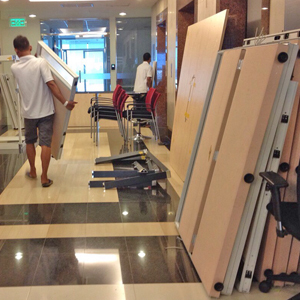 Thanks to you and your team again for helping us move yesterday. The pink curtains, our stuff and ourselves are all set 🙂 I will recommend Pathway to others too. We're just now unpacking things, but everything, including the painting, seems like all survived. 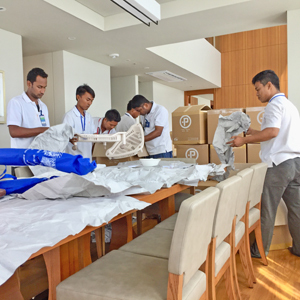 This whole process felt daunting and overwhelming at the outset however your simple instructions, timely responsiveness and flexibility made shipping our things one of the easiest elements of relocating back home. Huge thanks to your team. 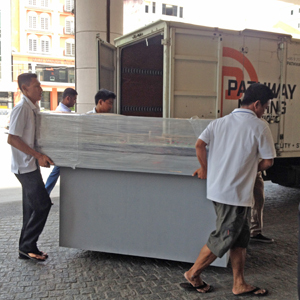 We recently used Pathway Moving Services as part of our relocation to Myanmar from the UK. They have been efficient, professional and very friendly. 100% recommended to supply relocation/removal/storage services. 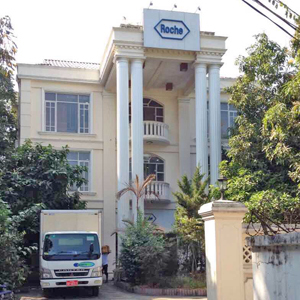 We just completed our move from Yangon to Germany with Pathway Moving Company. Reliable initial estimate and recommendations to cope with the Myanmar specific formalities. High quality packing, in our case with not one item damaged! They use reliable partners for the export and later clearance. 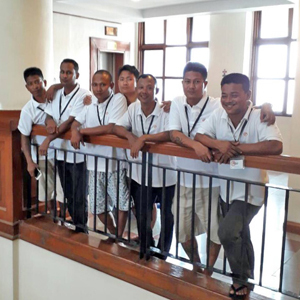 The Pathway team maintained the whole process in a very organized way, prompt communication and very supporting in various issues. It was really professional and beyond that simply understanding communication. We were very satisfied and like to recommend Pathway Moving! Pathway packed our house (well done, very professional), stored our goods for a few months while we were away and then helped us with a long distance move. With rough roads and a difficult move, a few things were damaged. They bent over backwards to make sure we were satisfied and took care to be sure things were resolved. Very professional, very well done, even with a bump or two, they came through. Five stars. Totally recommend this team.